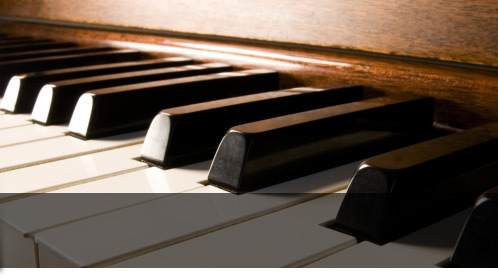 The Australian Piano Buyers Guide - Buying a Piano? If you are considering purchasing a grand piano, upright piano, digital piano or keyboard then this is the website for you. The Australian Piano Buyers Guide is a free booklet, full of comprehensive and up-to-date information about pianos for sale in Australia. You can download the guide or we can post the guide to your home for free! How do I choose the right piano? Selecting a piano that is "just right for you" can be a challenging experience. Firstly you need to decide whether to purchase an acoustic piano, a digital piano or a keyboard. Then you are faced with another decision of an upright piano or a grand piano. Next, there are more than 30 piano brands available in Australia including Yamaha, Alex Steinbach, Beale, Kawai, Samick and Bechstein. Many of these brands manufacture their pianos in different countries around the world which can make it confusing. In addition, there are thousands of used pianos being brought into Australia from Japan and Korea. Your first step should be to request your FREE copy of The Australian Piano Buyers Guide! This is a general guide to the types of pianos for sale in music stores around Australia. It is not a discussion of brands or specific models however it will provide you with a wealth of information essential to your search for a quality acoustic or digital piano. The Australian Piano Buyers Guide also offers important information that is relevant after you have made the decision to invest in a piano. This includes information from "How to care for your piano" to "Career opportunities in Music". Preview the guide to read more in these sections. We welcome comments and suggestions about The Australian Piano Buyers Guide which you can submit online. Happy reading and all the best in your search for the perfect instrument! I am very grateful for this guide, you do not ask for a fee, and it is very helpful. It will definitely be in my hand when purchasing a piano. The guide filled in a few holes and is a useful reference. Most of the fun is heading to all the local stores, talking to staff and trying the models out. I was totally satisfied with the Australian Piano Buyers Guide. An excellent resource that I have told other people to get! I regard this entire process as one of my greatest retail experiences of all time! Reason being it is so refreshing to send off an email and receive an answer promptly, and when you are time poor being able to gather information in this manner, process it and go ahead with purchase/rental. This particularly applies when you do not know a great deal about what you are buying. Congratulations on a well presented and the most informative guide I have seen to date. I wish that others in the music business would follow your lead and care more for their customers because that way business would prosper and everyone would be happy. Absolutely fantastic service. It provide me with a very valuable tool to determine what piano to buy. Many thanks. Thanks for the great Piano Buyers Booklet it certainly cleared up a lot of questions I had. Thankyou for your reply. I look forward to receiving your guide. I am very excited ... this guide is exactly what I need at this stage! As I have read through the Guide, I feel that the only way it could be improved is if it came in a hardback cover, as it is a very useful and utilised book in my household now! I am most impressed with the "Aust. Piano Buyers Guide" which gave us the confidence to ask pertinent questions whilst searching for a piano, so for us it made our search much less stressful. So, for us the guide was excellent and we are particularly impressed with the professionalism and follow-up you provide. Thank you so very much for your prompt reply to my Interest request! The materials you sent me were most helpful. Was very helpful. Stopped me from buying a bad, cheap second hand piano! Thank you so much for the guide was very helpful. Thank you so much . I received the information by email as i am really busy, so this was really good. I have just purchased a piano with the help of your guide, which i received in the post. Many thanks. Thank you for 'The Australian Piano Buyers Guide'. The booklet is an excellent publication and very informative. The additional brochures etc received separately are fascinating and revealing. I now know of two piano stores in Brisbane i did not know existed. Thanks so very much for taking your time to create this very useful and informative guide. I have learned so much. Thanks!! I cannot recommend you highly enough for the wonderful, prompt literature that you sent to me. It taught me so very much and it made making the purchase so much easier and more informed. I wish I'd had it when i bought my first piano as it would of saved me a lot of money and grief, but i didn't know about it then! Very helpful information. Previously I was drowning in a sea of sales talk!! The Australian Piano Buyers' Guide is posted FREE to all Australian postal addresses. Request your copy now.